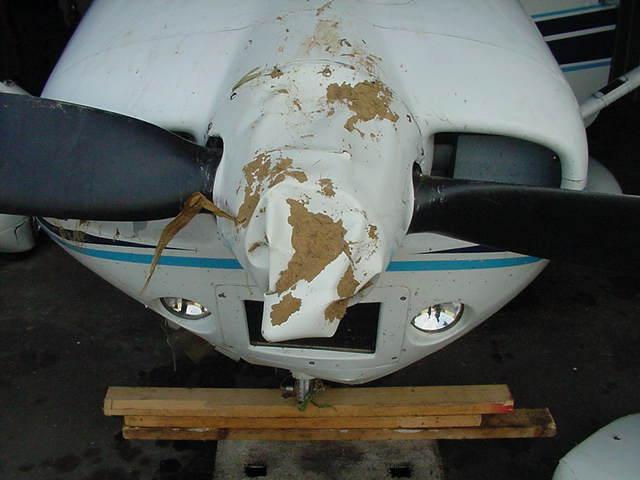 Examination of the airplane revealed that the main wheel brake hydraulic lines were attached to the trailing edge of the tubular steel landing gear struts. The aluminum brake line had chaffed against the aluminum covering over the strut, and had developed a leak near where the brake line had attached to the brake caliper. Dried hydraulic fluid was found inside the aluminum covering, and on the main landing gear strut. The pilot of the preceding flight reported that when he taxied for departure from Fort Knox, he noticed that the right brake was “mushy,” but useable. At the completion of his CAP mission, he landed at London, Kentucky, and the right brake was still “mushy.” However, when he returned to Fort Knox, the brake pedal was “very mushy”, and he made a write-up in the airplane log sheet. He did not observe any fluid leaks. The pilot was also asked if he was aware of the order to notify the wing maintenance officer of maintenance discrepancies. He reported that he was aware of the order, and forgot to make the notification after the flight. 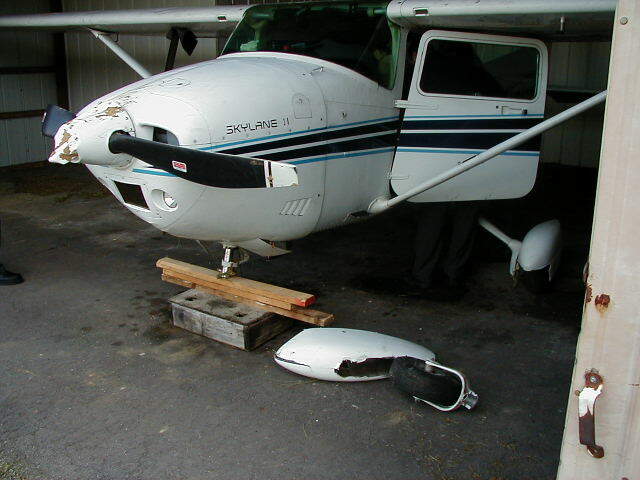 The pilot’s improper decision to fly the airplane with a known deficiency, and his inflight decision to land with a quartering tailwind. A factor was the wing maintenance officer’s concurrence to fly the airplane with the known deficiency.